We get nearly all our power from nuclear reactions. Solar energy is nuclear-based. From 150,000,000 kilometers away, the sun sends us the energy released from fusing atoms. For millenia, the sun has heated our homes. 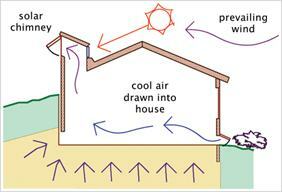 More recently solar energy has been used for passive cooling and electricity production. The sun also drives evaporation which eventually enables hydroelectric dams. However nuclear reactions in the sun also released the energy now stored in fossil fuels. Closer to home, radioactivity within the earth nearly matches the energy consumption of humans on the surface. Around 20 TW of heat is generated by radioactive decay, while 17 TW was consumed by humans in 2013. 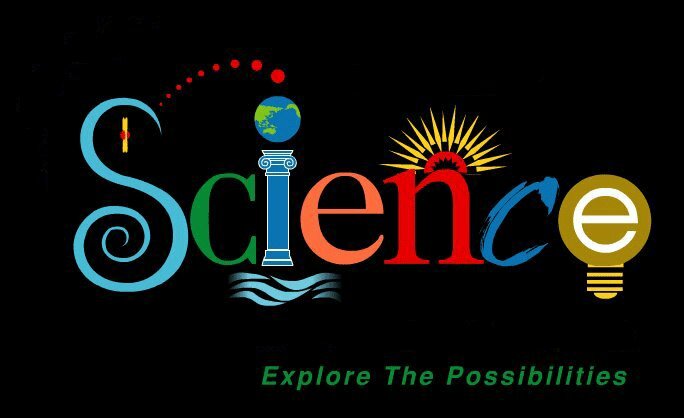 In modern nuclear reactors we can sustain nuclear fission reactions by bringing certain materials together in the right proportions, but did you know that earth also had its own fission reactors about 2 billion years ago? In the central African country of Gabon, in a region called Oklo, miners discovered that the uranium ore they were mining was deficient in the U-235 isotope. That was the first clue. U-235 is the natural isotope responsible for most of today’s nuclear power. Besides fuel though, a reactor needs a moderator. The moderator slows down neutrons to speeds where they can split additional atoms. Today, most reactors use light water which is just water with hydrogen nuclei that consist of a single proton. Using this moderator, it is necessary to enrich U-235 to around 3% before it can sustain a fission reaction. Natural uranium today is only 0.7% U-235. However U-235 decays faster than U-238. 1.7 billion years ago, the U-235 fraction was around 3%. This enabled the reactors at Oklo to periodically “switch on” when water was present. The uranium deposit would generate a lot of heat and the water would eventually evaporate or otherwise escape. The reactor would “switch off” and cool down. When the water returned, the reactor would cycle again. Besides being an interesting puzzle, the Oklo reactors can and have informed today’s nuclear engineers and scientists. Since they operated for thousands of years without destroying themselves, the reactors can inform modern reactor design. Additionally, they can tell us how radioactive materials can be immobilized for billions of years. Scientists have even used Oklo to test whether the fine structure constant has changed over time. Are we really expecting a miracle? Check out this figure. It shows actual energy consumed by fuel type worldwide. 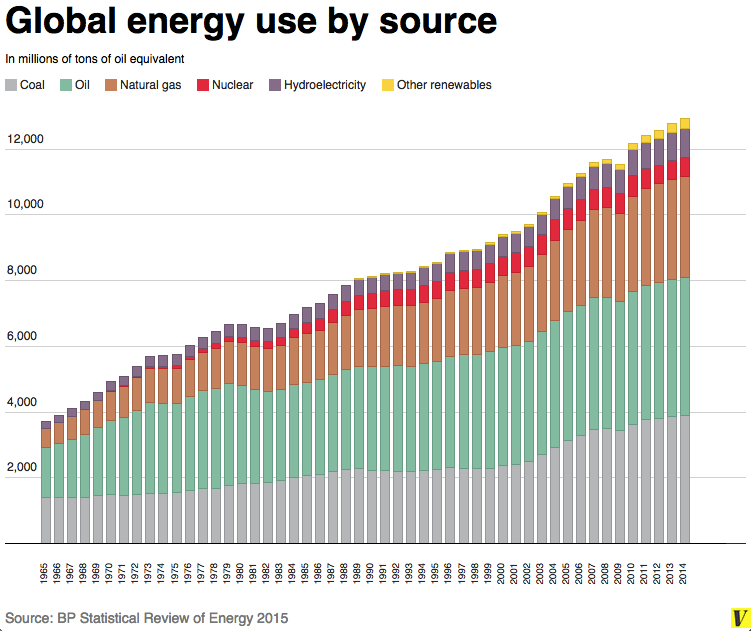 If you look at the chunk provided by low-carbon technology (nuclear, hydro, and other renewables) in 2015, note that the world demand for energy has increased by this much since just 2005. That’s right. In ten years low-carbon energy use has grown 20%, but energy demand has grown by 125% of all low-carbon energy consumed in 2005. This means we are using more fossil fuels every year. Even though renewables have high rates of growth, they are growing from a small base. Even Germany is struggling with its renewable goals because it simultaneously wants to stop using nuclear power. With population growth and increasing affluence in many parts of the world, we can expect energy demand to keep growing. The obvious choice for many countries is fossil fuels because they are cheap and dispatch-able. The truth is that a significant fraction of people will never opt (= pay more) for intermittent power or consume less of certain things (e.g. air conditioning, washing machines, mobility, and food). What we really need is a radically cheaper energy source that can do everything that fossil fuels can but without the CO2 emissions. Then we need the infrastructure and expertise for it to grow incredibly fast over the next several decades. Perhaps the best way to achieve this is to get more people out of poverty and educated. It might take only a few geniuses to come up with the miracle technology. We know lowering consumption and artificially increasing the cost of energy could reduce greenhouse gas emissions, but our economic and social systems prefer to ignore this. With the added strategy of fostering innovation in the energy sector, we stand a better chance. Hopefully, we can make more miracles happen instead of just waiting for one. I don’t generally agree with religious leaders, but Pope Francis has been making some good arguments lately. Besides pointing out that weapon manufacturers aren’t very Christian, he’s released a letter arguing that climate change is a looming world issue. Of course he ignores addressing the growing population, but he does argue that rich countries have consumed too much at the expense of the less powerful. Wealthy countries need to reduce consumption and support clean energy development of poorer countries. While I do think putting a price on carbon emissions will be a HUGE step towards addressing ecological-societal catastrophes, we also really need to consume less. Without addressing consumption, we are delaying our problems in the hope that technology will fix them some time in the future. A couple of academic groups in California were back in the news last week. They argue that every state can economically transition to 100% clean energy. I first heard about their project around two years ago and was understandably enthusiastic. Unfortunately, they argue that energy efficiency can take care of a large fraction of the transition. They expect demand to decrease 40% in Oregon by 2050. Other states are similar even though US population is expected to grow from 320 million to 438 million in the same period. While some of the demand decrease is associated with changing power sources, much of it relies on more energy efficient buildings and cars. However, the study I discussed three weeks ago suggests that energy efficiency savings may be highly exaggerated. This article expands on that argument saying that we should compare solutions based on economic cost, and therefore energy efficiency is not cost effective (at least within the study’s scope). Another article suggests that though our technology has light-weighted products and decreased waste generation on the front end of the consumer cycle, we’re having a hard time making gains with recycling. These articles may tiptoe around it, but the fact is that we CANNOT continue to consume so much. The pope is arguing that we can improve technology and modify our economic systems, but that won’t be enough. We ultimately must change our over-consumption behaviors. We must make hard decisions to live with nature- not exploit it, and to value human life- not human riches. These decisions are hard because they change entrenched behaviors and societal norms. However, if we can muster the courage to change, our environment with humans enmeshed within will ultimately come out as the winners. I recently finished a free on-line course through edx.org called Making Sense of Climate Denial. I highly recommend the course to anyone interested in climate change and especially those interested in what science says about communicating the science of controversial issues. One example is that presenting myths in the wrong way can create more belief in the myth even if the author is trying to do the opposite. My attempt at debunking a sea-level-rise myth is below. 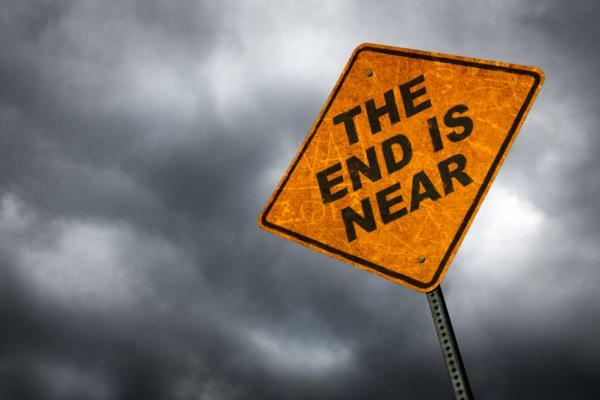 While many of the impacts of climate change are under-estimated by many people, I chose one claim that could be called “alarmist.” That means that the myth overestimates the impact. To learn more about the fact-myth-fallacy structure, please check out the course! FACT: Climate scientists expect global sea level to increase between 0.26 meters (0.85 feet) and 0.98 meters (3.2 feet) by 2100. In the 2013 IPCC report, estimated sea level rise by 2100 is estimated to be between one and three feet. This compares to a 0.2 meter (0.6 feet) increase from 1901 to 2010. The main contributors to sea level rise are thermal expansion of oceans and glacier melting. Another increasing contributor is ice sheet melting. Running several scenarios including atmospheric CO2 concentrations greater than 700 ppm and including “ice-sheet dynamical changes”, models suggest that sea level rise will likely not be greater than 0.98 meters (3.2 feet) by 2100. There *will* be regional variation in sea level rise as winds, ocean currents, and landmass change. Some areas will experience greater change and others will experience less change or even sea level decrease. However, average global sea level rise by 2100 will be moderate – not extreme. The reports adds that with medium confidence, extra sea level rise from collapse of the Antarctic ice-sheet would contribute less than several tenths of a meter (1 foot) additional sea level rise by 2100. One myth suggests that expected sea level rise will be 20 feet (6.1 meters). This myth doesn’t include a time frame. However, it implies that this may happen in a single lifetime. This myth cherry picks from the model results because sea level may well reach this magnitude, but not for at least 500 years. Even in the worst scenarios considered, global sea level in 2100 will only reach 1.3 meters (4.3 feet). People who cite this 20-foot-rise statistic are trying to make this impact seem scary, but other factors like changes in storm surges and increased weather extremes will have more worrisome effects. So the next time you stand on a beach with your toes in the water, imagine the ocean at waist level in 2100. This is definitely worrisome, but the sea level will *not* have increased by the height of a two-story house. Sometimes government programs don’t achieve the best results. Several recent articles illustrate this point. These three articles discuss programs that aim to reduce environmental impacts of energy use, but have unintended consequences that could be avoided. Southwest US forests are producing biomass for Europe. We have to be very careful when considering the use of biomass and biofuels to replace fossil fuels. Governments have set up incentives or mandates to encourage the use of, among other sources, biofuel and biomass (sometimes called renewable portfolio standards). However, the net effect on human and environmental health is questionable. Biomass emits more non-CO2 air pollution than coal; humans near power plants would experience more detrimental health effects. CO2 is collected slowly by plant mass (especially trees), but released rapidly; this means that short-term emissions could be high and outweigh long term reductions. Biomass is less energy dense and more expensive than coal; it is unlikely to become cheaper than coal. Biomass is being harvested from areas with high biodiversity and ecosystem services; monoculture farming would have an even worse impact. Biomass farming can require using land otherwise devoted to growing food. This can lead to higher food prices and instability in areas that can’t afford these increases. Some biomass crops require fertilizing and pesticides. These can contribute to further detrimental environmental effects. To be sustainable, biomass use must incorporate best growing practices and can only supply very-local small power plants. Projected energy savings were probably over-optimistic compared to reality. Most carbon mitigation plans include large energy efficiency savings that might be much harder to realize than previously thought. As people save money, those extra savings will often be used to increase consumption in other ways. For energy efficiency measures to be truly effective, we must in tandem make energy use more expensive. 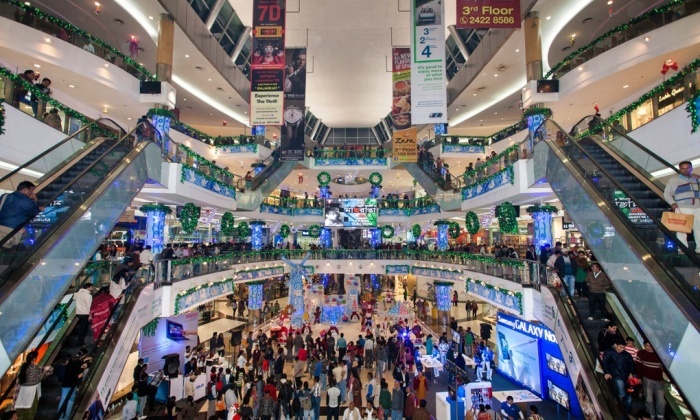 This means people to choose to consume less. There is a good reasoning behind subsidizing certain technologies. Established technologies (like coal plants and gasoline-powered cars) benefit from decades of incremental improvements that have made their production and use cheap. Governments can provide incentives to develop new technologies through subsidies like “grants, tax breaks, factory construction, discounted loans and environmental credits”. Electric cars could perpetuate the car and highway system when something else might be much more effective (eg. train systems and walkable cities). Subsidizing solar panels might encourage suburban sprawl so that each house can generate enough power for itself while other options might be more environmentally benign (eg. urbanization). These incentives usually benefit the relatively wealthy (stockholders or households that can afford Tesla cars) further exacerbating wealth inequality. So while these subsidies might be working towards cheaper clean energy and less pollution, I would rather see a carbon fee implemented. This would have the same effect, but wouldn’t exclude other potentially greener technologies. With simpler policies, we can drum up bipartisan support and achieve better results! Are LNG export terminals good or bad? The US has widely adopted hydraulic fracturing (fracking) which has domestically led to cheap natural gas. Since natural gas is 2.5 to 3 times more expensive worldwide, many expect that exporting natural gas could benefit both the US and other countries. 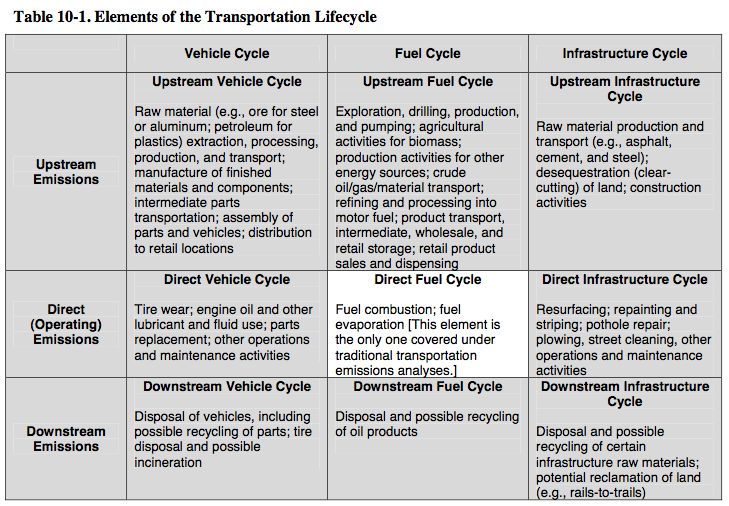 However transporting natural gas is more difficult than oil. 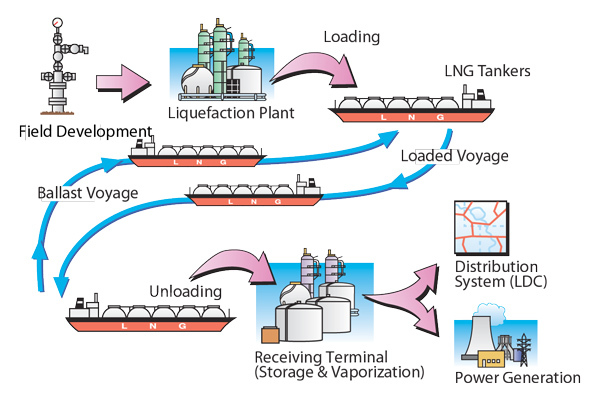 Companies need either pipelines or liquid natural gas (LNG) facilities/tankers to economically transport it. LNG facilities compress and cool natural gas to its liquid state (124 kPa, -162 degrees C). This allows for ocean tankers to hold 600 times as much natural gas for a given volume. While it might seem energy intensive to make natural gas that cold, keep it cold, and transport it thousands of kilometers, most GHG emissions (90%) still come from extraction and combustion. There have been several proposed export terminals throughout the US, but two in Oregon. One in Coos Bay and another in Warrenton. While there are many other pros and cons, I want to highlight a few important ones. 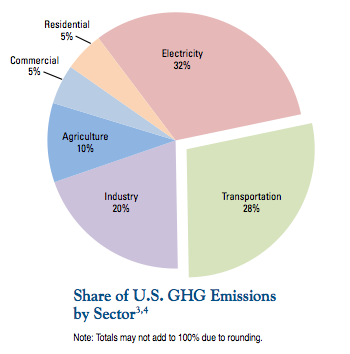 A recent study has found that natural gas exports could reduce GHG emissions. The authors assume that LNG could be used to replace coal in Asia or Russian natural gas in Europe. In both cases, there is a net reduction in total GHG emissions. This essentially supports the “bridge fuel” argument. It says that natural gas can serve as a fuel as we transition from coal to low-carbon technologies for electricity production. However, natural gas can be used in other ways such as plastic production or home heating. These activities have less clear benefits. Also, US exports could lead to increased domestic fracking and even increased domestic coal consumption as natural gas prices increase. In addition, another study has shown that natural gas as a “bridge fuel” could increase electricity consumption, increase methane emissions, and/or delay investment in truly low-carbon technologies. Domestically, a few jobs would be created. Some US companies would prefer to keep cheap natural gas prices to themselves, but LNG exports would certainly boost world economic output. Exports could provide Asian markets with cleaner-than-coal cheap electricity. It is important to acknowledge that the US and Europe grew wealthy by exploiting fossil fuels and that we don’t have the right to demand that poorer countries abandon fossil fuels immediately. As new pipeline must be laid to get natural gas to the export facility, significant impacts could occur. Construction and maintenance of the pipeline would necessitate a clear swath through forests (public and private) and construction that may temporarily disrupt waterways. We should immediately work to reduce fossil fuel consumption; we can afford the extra costs and we are responsible for most of the current climate change. Ultimately we need an effective carbon tax. This is necessary to address climate change and could displace other taxes. It would still allow for exports when it makes sense for all parties. We’ve recognized that fossil fuels are a problem and ways to mitigate their use. We now need the political will to implement these solutions. Today, there is a rally in Salem, OR to protest the proposed LNG export terminals. Please consider joining us, contacting your representatives, and please just discuss these issues with your friends. Observe some aspect of the world. Try to make sense of it (a framework). Make predictions using the framework. The key that makes science work is the feedback loop. If new observations don’t match the predictions, new frameworks are necessary. These lead to new predictions. This self-correcting behavior means that science as a tool will get us closer to truth. I define “truth” as how the world actually is. Sometimes people argue that science is the endeavor to perfectly describe the world in simple terms. One example is F = m*a. This is a simple equation that does very well as a framework, but really is just a best guess for many situations. In my view, any framework could be best; it need not be simple or perfectly correct. It should just match the observations better than any other framework. For science to show us the truth also requires fundamental doubt. For any given framework, we must allow that the framework itself is false. This means that no assertion can remain unchallenged. There is no absolute authority because anyone can begin the cycle to determine the truth themselves. However, the body of knowledge that describes the world has grown so large that it is impossible for one person to verify all the frameworks. To address this shortcoming, we use peer-review publishing and consensus-building. Peer-review publishing is where other experts in a field read and critique articles on new research. Since they are the most knowledgeable about a very narrow aspect of the world, their evaluation of new research is the most valuable. This means that non-experts cannot up-end an established framework unless they have new and relevant ideas. As a scientific field develops, a few frameworks usually emerge. These frameworks and their predictions are pitted against one another until most scientists in the field agree on just one. This is called a consensus. For example, 97% of climate researchers agree that climate change is occurring and humans are causing it. Consensus can be dangerous as it amounts to an authority dictating the framework. So, why trust science? Since science necessitates doubt and researchers can make careers by overturning consensus, a framework that is closer to truth will always win in the long term. The scientific method can also be applied to activities that aren’t hard science. For example, the states are laboratories of democracy. A social or economic framework/prediction can be observed at the state-level to determine if the framework is effective and desirable at the nation-level. As another example, poverty alleviation efforts have adopted the scientific method to observe which strategies are most effective (and under which circumstances). Science can’t answer all questions. It might be able to answer the surprisingly difficult question “How did the universe begin?”, but it’s probably useless in answering “Why did the universe begin?”. So far though, science and the search for truth have achieved some pretty unbelievable results. It has enabled humans to walk on the moon and to split the atom, and even shown that we can evolve from single-celled life. It works pretty damn well, so listen to the experts.